The CEO of U.S. Steel announced last week that his company intends to rehire some 10,000 steelworkers laid off in the latest economic downturn. Now, another major U.S.-based corporation is disclosing plans to bring on more employees. In an Op-Ed in USA Today this week, IBM CEO Ginni Rometty said Big Blue may hire up to 25,000 new employees – as many as 6,000 of them in the coming year. But she points out that these workers have so far been hard to find. She calls them “new collar” employees, as opposed to white or blue collar positions. 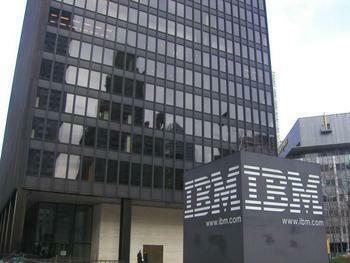 IBM, she says, is looking for bright men and women who don't necessarily have a four-year college degree. Obviously a lot of the highly-technical jobs at IBM require advanced college degrees, but already, Rometty says the company is expanding the number of jobs that don't. At some IBM installations, she says as many as one-third of employees do not have a four-year degree. She says these jobs, such as cloud computing technicians and services delivery specialists, require relevant skills – skills that can often be gained through vocational training. While this is very good news to young people considering a career in technology, it is not so good news to the nation's colleges and universities, and many of the students who paid dearly to attend them. The technology website Quartz quotes Sam Ladah, an IBM vice president for human resources, as saying as many as 15% of IBM's new hires don't have a four-year degree and many start off with salaries of between $40,000 and $50,000 a year. In a further dig at expensive higher education, it quotes Lazlo Bock, a former HR executive at Google, as saying college too often just prolongs adolescence. The changing nature of the technology labor force, says Rometty, requires changes in education. She points to new six-year technical high schools that prepare graduates for “new collar” jobs as highly effective. She also calls for updating the Perkins Career and Technical Education Act that governs federal support for vocational education.